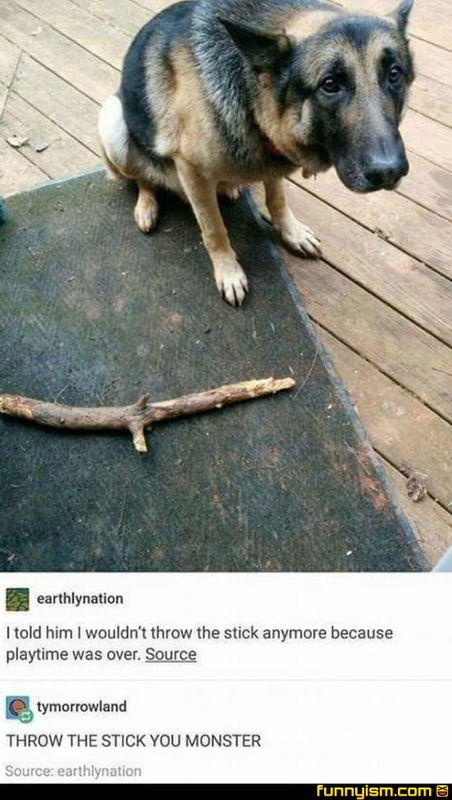 Even a cat person would have the heart to throw the stick again. Now that’s just f*cked up! As a person that lives with a German Shepherd I can assure you that play time is never over. Like never. Even if she is tired she starts to cheat and moves farther back so she can just catch the ball in the air. The second you say time for a break you get this look. @earthlynation, I will actually cause you physical, bodily harm. Playtime is only over when it’s food time or belly rub time.